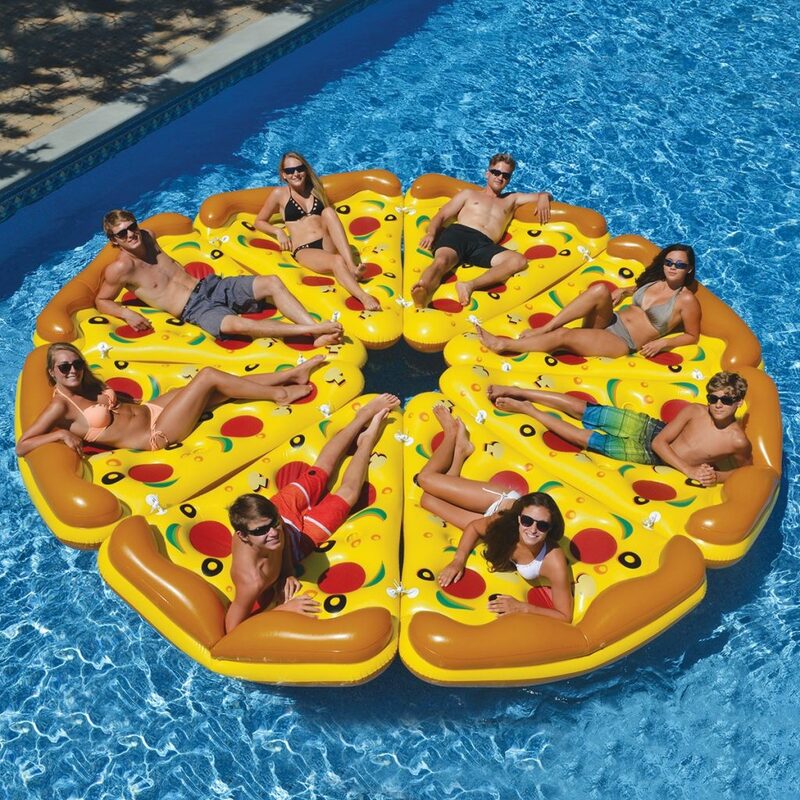 This pool float will transcend your average pizza party, because now, your pizza party can be IN THE POOOOOOOL. This best-floatie-ever will set you back $34 on Amazon. While it’s a little pricey to buy your own entire pie, have your friends BYOP – the raft comes with a bungee connector that helps you link each slice together just like the eight homies in the picture. So if you have seven homies, and they all have a pool / are willing to spend $34 – well, sir or madame, you have a PARTY. So if you have seven homies, and they all have a pool / are willing to spend $34, and you have ALCOHOL….well, you get the idea.